Kenny and Annette’s wedding at Wine and Roses was nothing short of stunning. The venue is a tucked away lush oasis in Lodi, California, and it served as the perfect back drop for this sweet couple who was finally tying the knot after seven years of dating. It was a beautiful experience to film the day for two people who fit together so well and are so caring for one another. It was also fun to see their wedding presents to each other—they gifted one another with Apple iWatches! We filmed their wedding along side Leslie Callan of Green Vintage Photography who created some really fun shots with Kenny and Annette, and they were great sports in letting their hair down with us. We all had such a great time capturing the day for them. 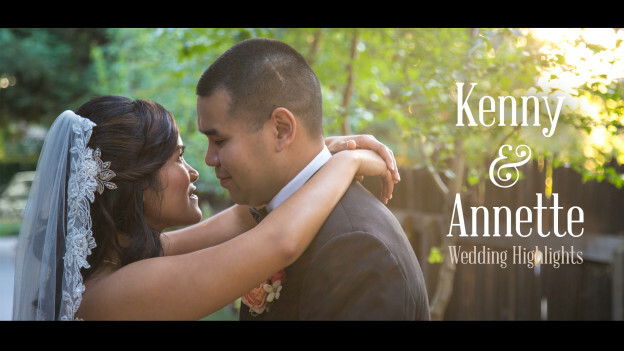 Congratulations Kenny and Annette! We wish you all the best in the years to come! This entry was posted in Green Vintage Photography, Wine and Roses on June 4, 2015 by christa.